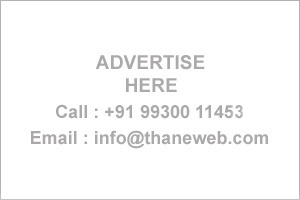 Get address, Phone numbers etc of Colleges in Thane on Business Directory. Pokharan Road No.1, J K Gram, Thane (West) – 400 606 Maharashtra. Behind D-Mart,Ghodbunder Road, Thane (W), Thane-400 615. Tel : 022 25973187 / 25973273. Jeevandeep Shaikshnik Santha Arts Commerce and Science College, G..
Goveli At. Goveli, Post. Rayate, Tal. Kalyan, Dist. Thane 421 103. Mith Bunder Road,Near Sadguru Garden, Kopri, Thane (E) 400603. Big Art Business Pvt. Ltd.
New Horizon Education Society's Complex,Anand Nagar, Kavesar,Off Ghodbunder Road,Thane (W)- 400615. RAGC, Plot No. 53, Road No. 30, Near ESIC (Kamgar) Hospital, Ambika Nagar, Thane (W), 400 604. Opp. D’Souza Wadi, Road No. 3, V.B.PHADKE MARG, Wagle Estate, Thane(w) - 400 604. Samarth Krupa Building, Opp. Thane Bharat Sahakari Bank Ltd. , thane college road CIDCO, Chendani, Thane (W) -400601. Surya Sadan, 101, 1st Floor, Ram Maruti Road, Naupada, Thane (W) 400 063.